The frog honestly though he and the kangaroo were playing a game. For weeks after this the embarrassed frog would duck down an aisle when he spotted his friend at the grocery store. The kangaroo wondered why the frog was avoiding him, as he did consider the frog his best friend. Months later they saw each other at the arcade, both were in line waiting to play Double Bubble. The frog was over the incident, but it was too late. 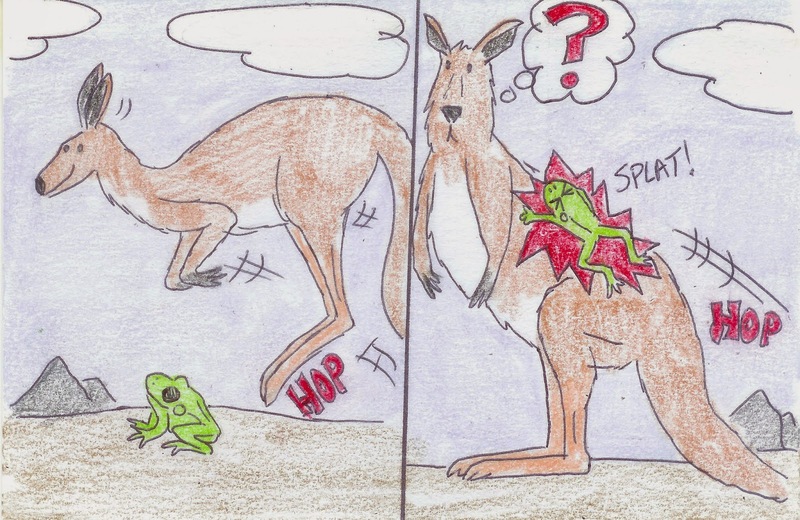 The kangaroo, feeling slighted by the frog, had new friends including a grasshopper named Carl who got the kangaroo deeply into mahjong culture. He was no longer into the childish games that he and the frog used to play.